As Mobile World Congress 2019 is approaching and many big companies are racing to launch their high-end devices at the event. HMD Global has also jumped into the race and announce the launch date of its highly anticipated smartphone, Nokia 9. Now, the Nokia 9 will launch on February 24. No doubt, All the Nokia fans are anxiously waiting for this handset. Now Finally the smartphone is making its way towards the market. The previous rumors revealed that you can capture portrait mode shots with adjustable bokeh and can change the focus point after the shot is taken. The Nokia 9 will also feature some sort of night mode. Moreover, the phone’s 10x more light captured compared to a regular smartphone. The Penta camera will also allow you to snap a photo with all the cameras at the same time. Rumors also claimed that the phone will have a notch-less 5.99-inch 2K (read QHD) PureDisplay with HDR10 support. Moreover, the phone will have an in-display fingerprint scanner. 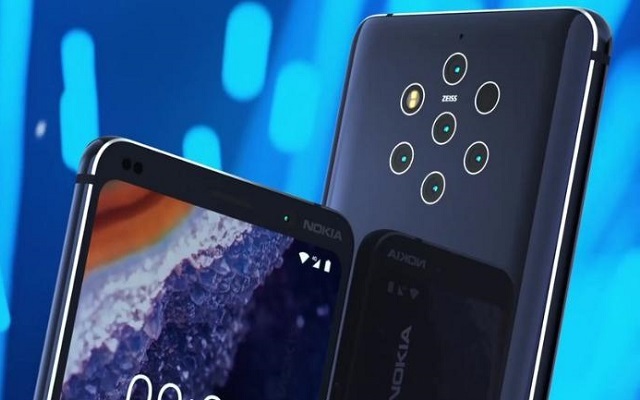 One more promising feature of Nokia 9 PureView is that it will come with Snapdragon 845 chipset. Moreover, the phone will have 6GB of RAM and come with 128GB of built-in storage. Get ready for the Launch of Nokia 9. And Stay Stunned to get more updates about Nokia 9.